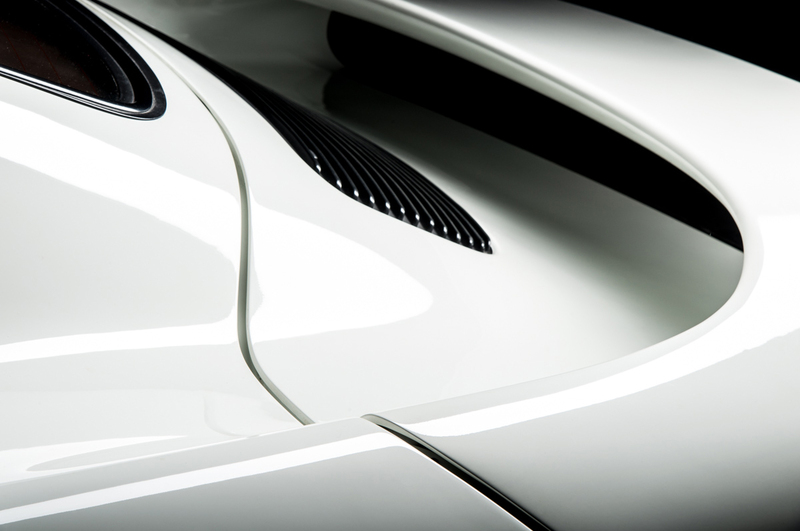 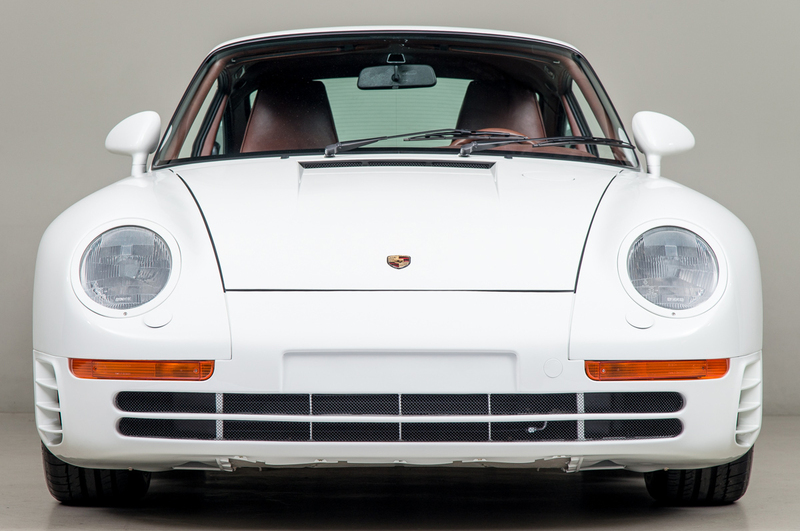 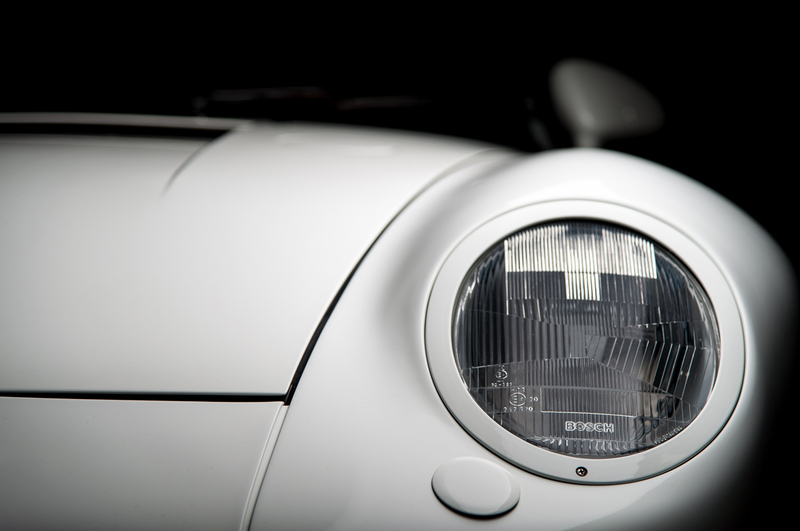 In the world of Porsche 959s, few names are as recognizable as that of Bruce Canepa. 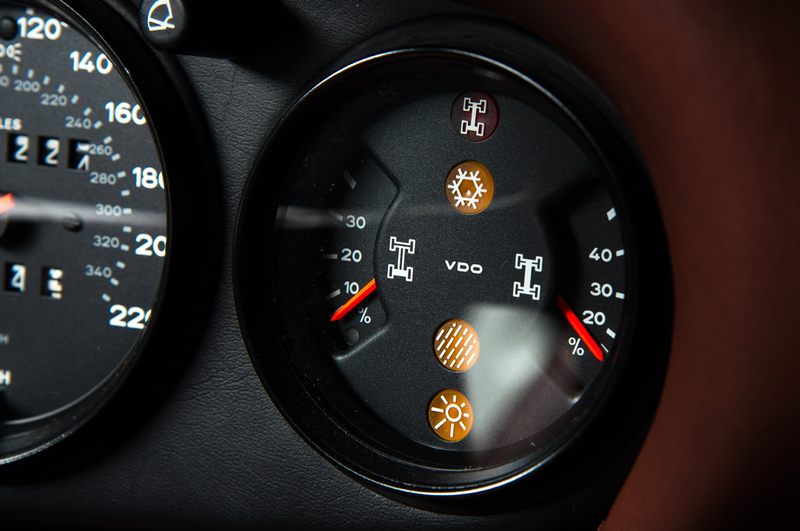 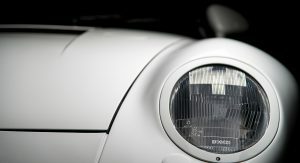 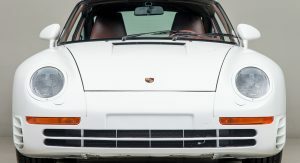 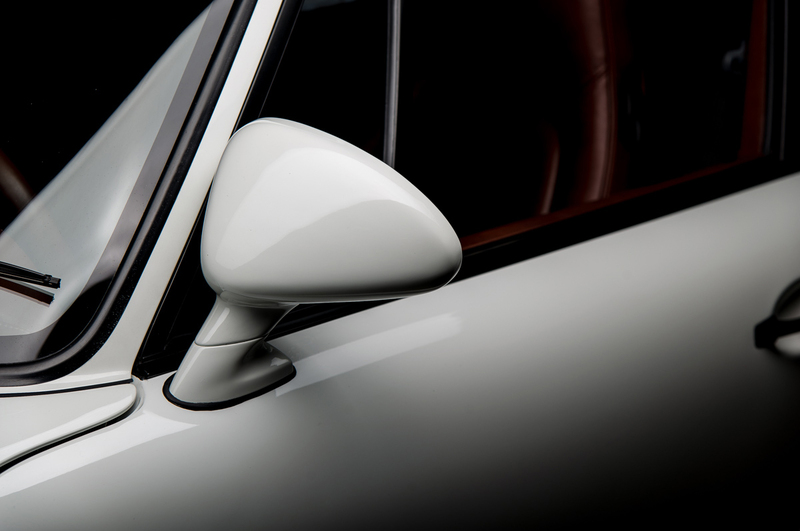 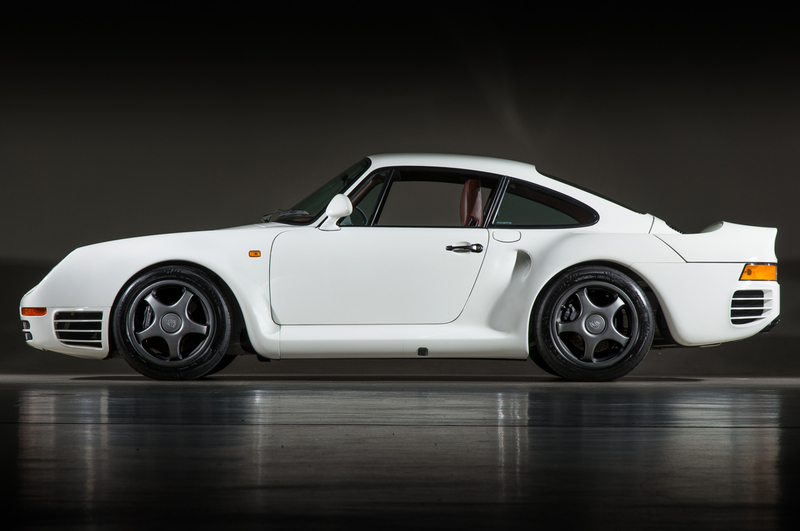 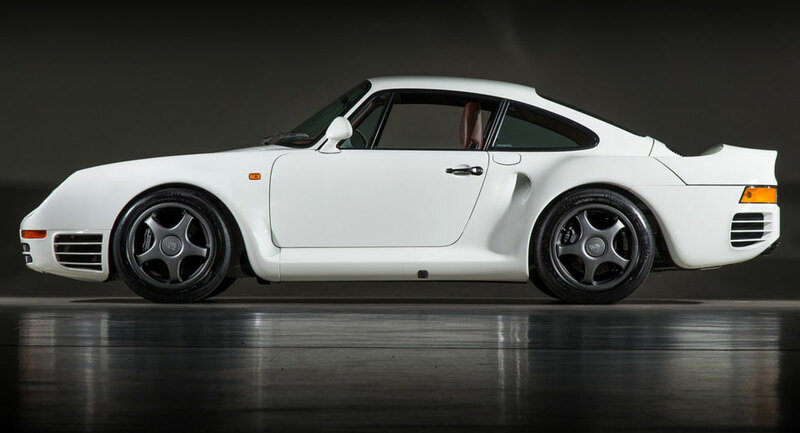 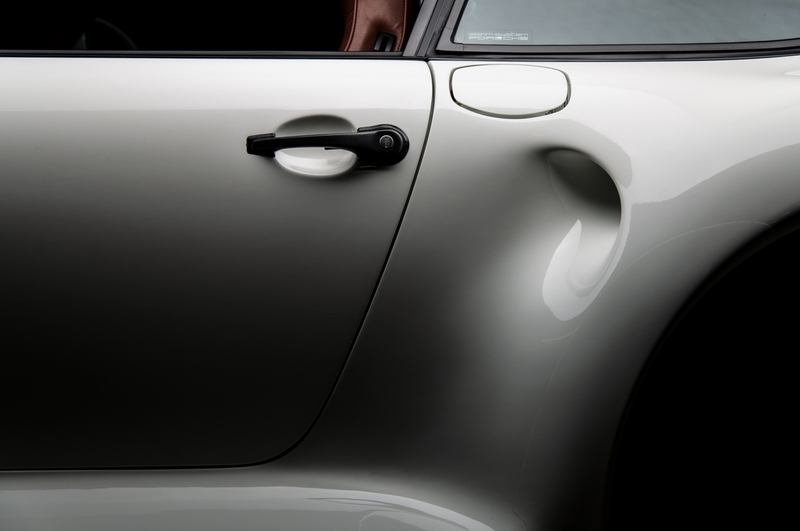 The former race car driver and resto-mod master helped get the 959 onto U.S. streets through the Show and Display law and has been restoring and modifying 959s ever since. 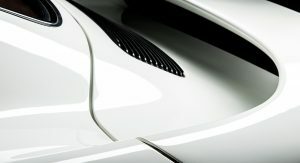 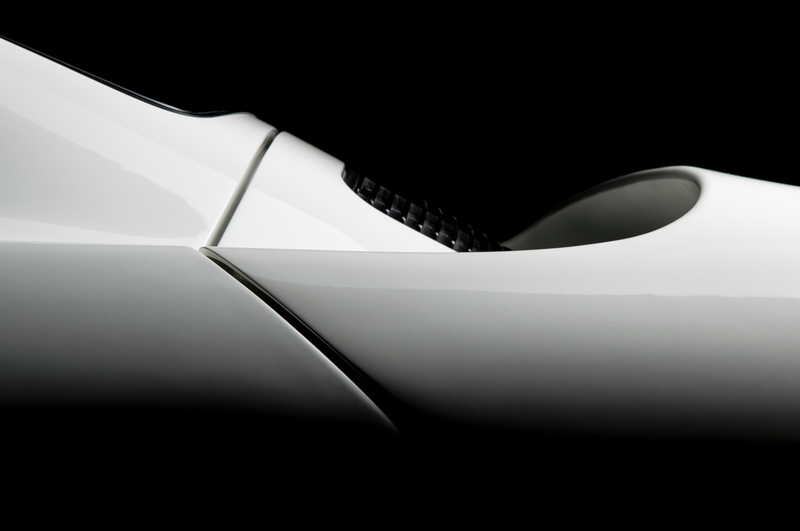 For his latest project, Canepa set about turning his very own example into the world’s fastest, thanks to a range of performance modifications to give it capabilities to match those of the hybrid Porsche 918 Spyder. 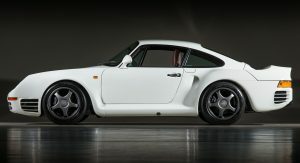 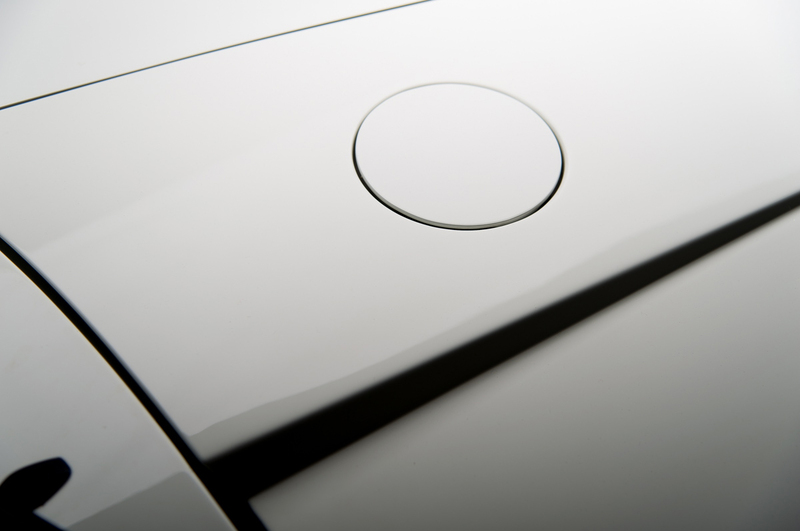 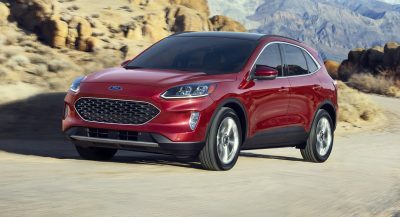 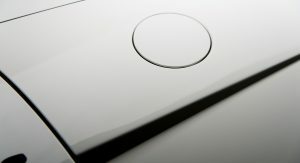 To kick things off, Canepa set about customizing the car’s 2.8-liter twin-turbocharged flat-six engine. 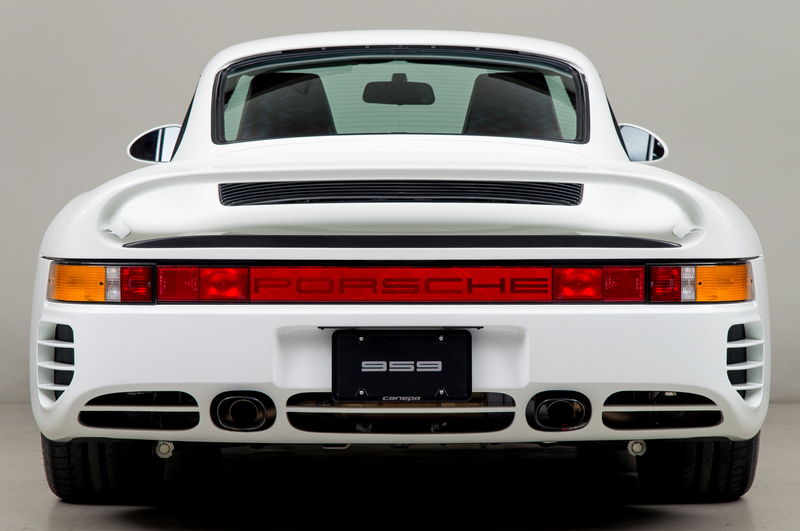 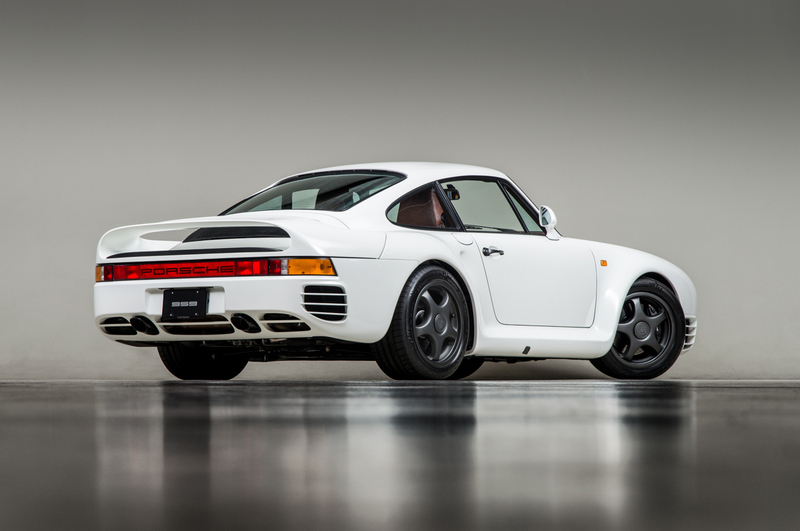 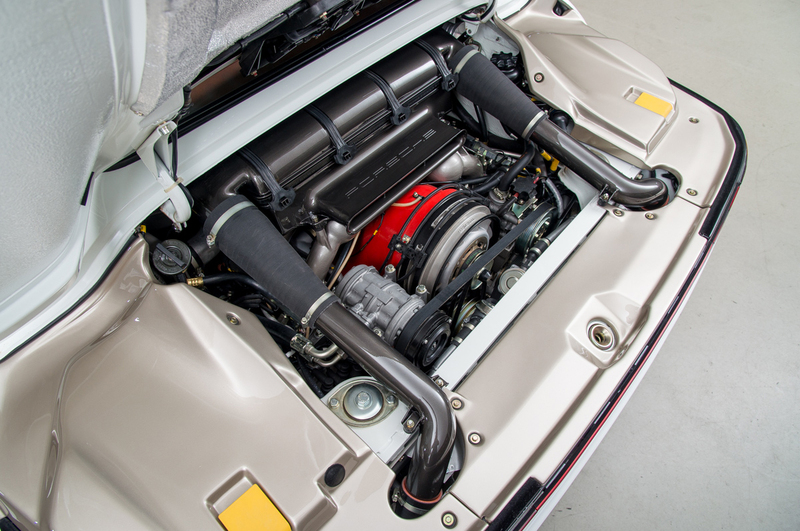 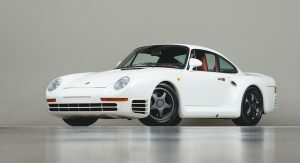 Rather than the serial 444 hp, this 959 churns out a phenomenal 763 hp and 635 lb-ft of torque thanks to new Borg-Warner turbos, a new ECU, bespoke exhaust system, titanium heat shields and a custom clutch pack. 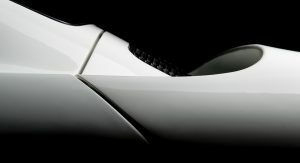 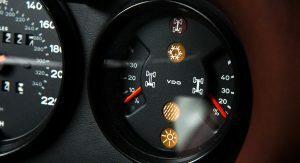 The added power results in a 0-60 mph (96 km/h) sprint time of just 2.4 seconds and a top speed exceeding 230 mph (370 km/h). 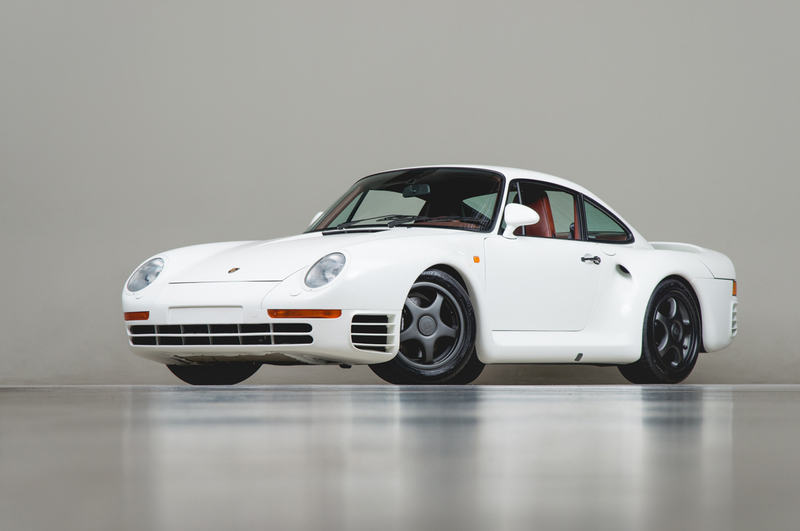 Alongside the powertrain upgrades, this 959 includes a set of titanium coilovers mimicking the units that came as standard on the 959 Sport. 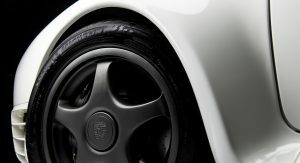 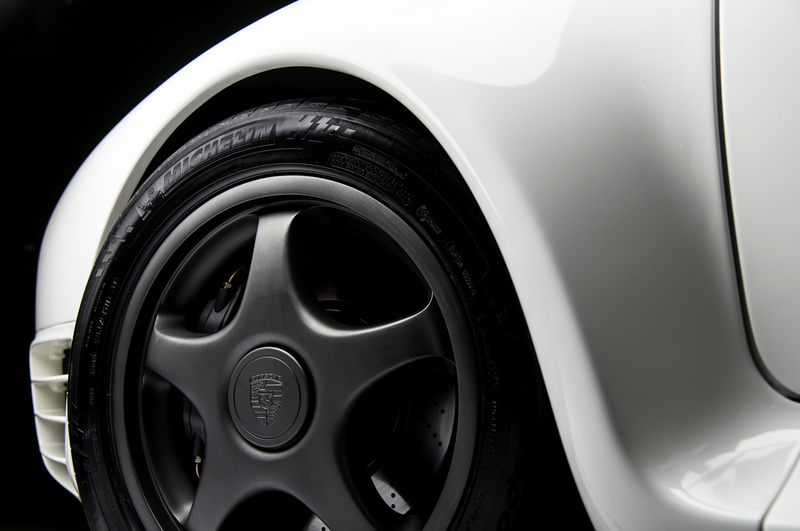 Lightweight magnesium wheels have also been fitted to reduce unsprung mass and aid further in the handling department. 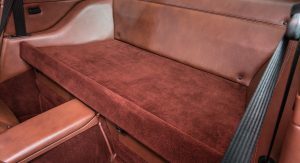 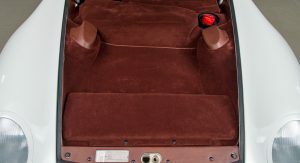 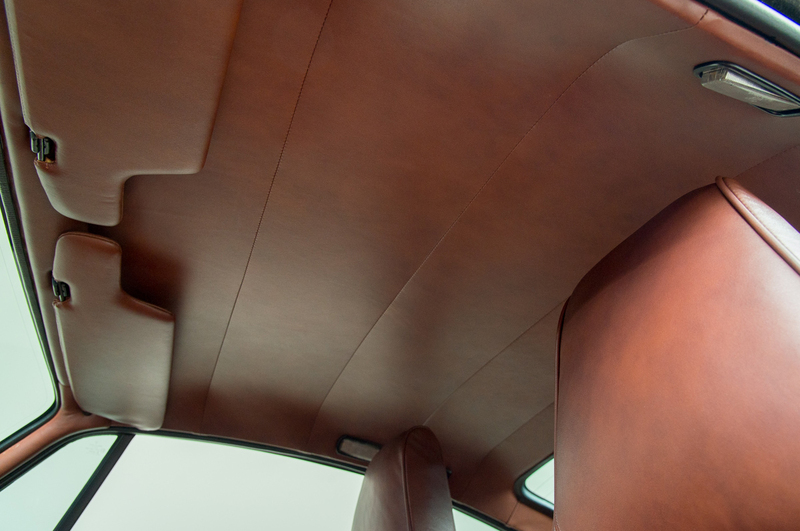 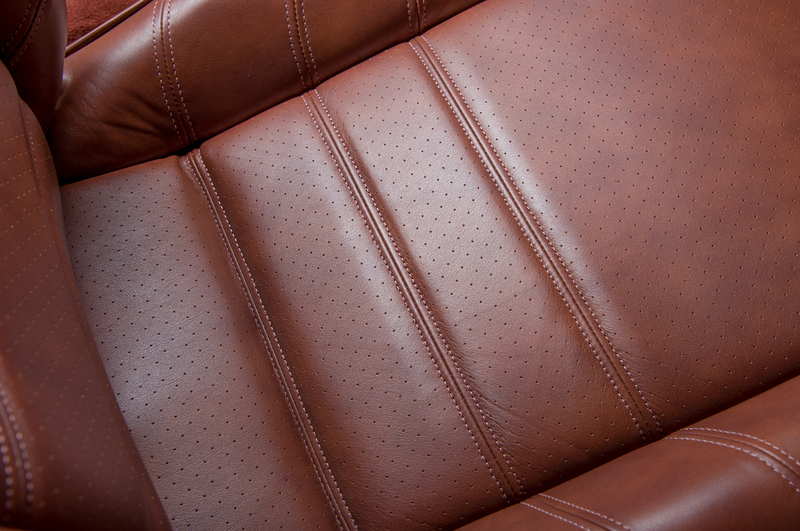 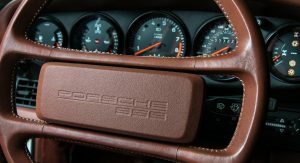 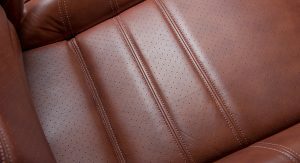 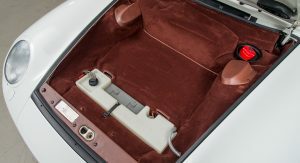 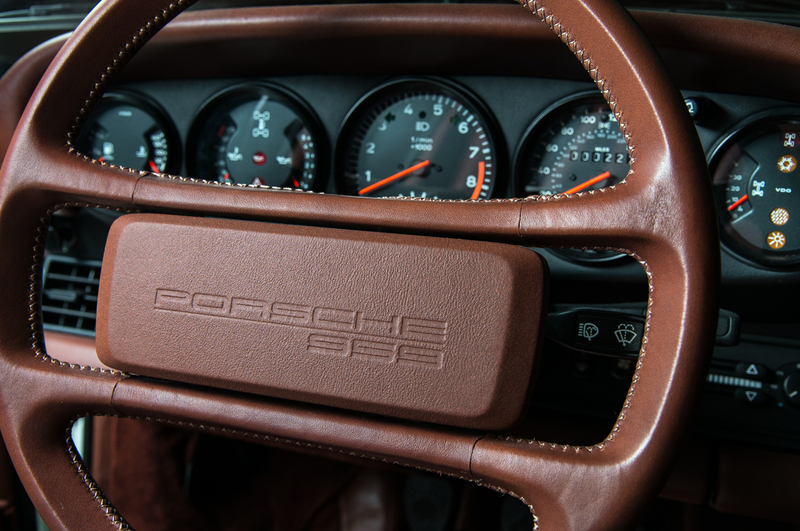 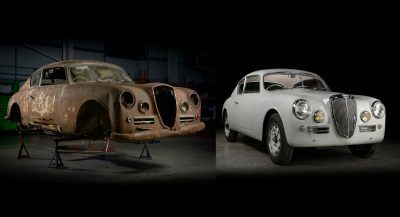 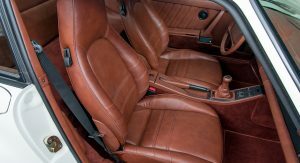 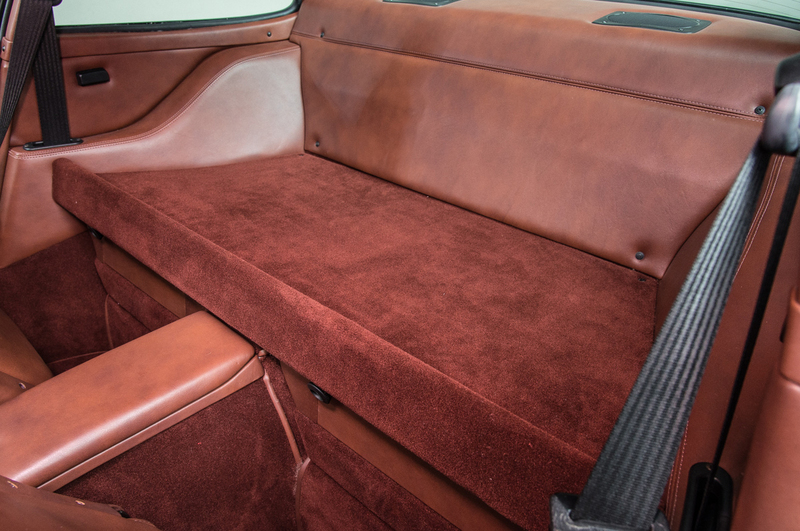 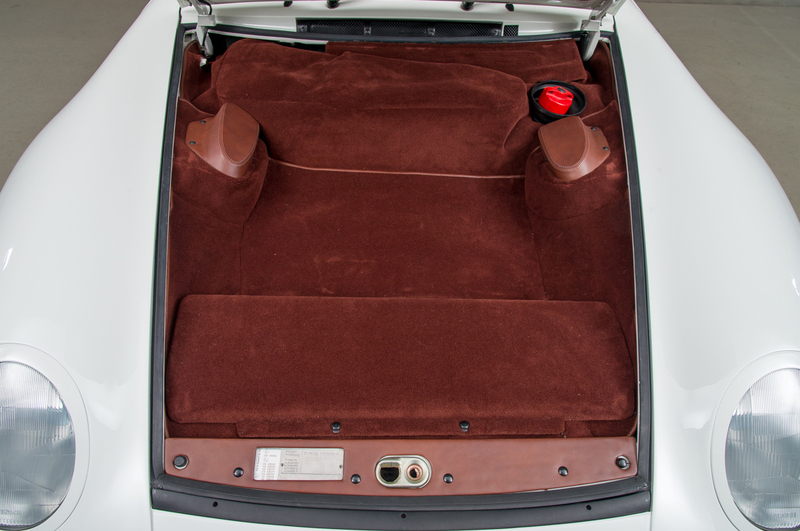 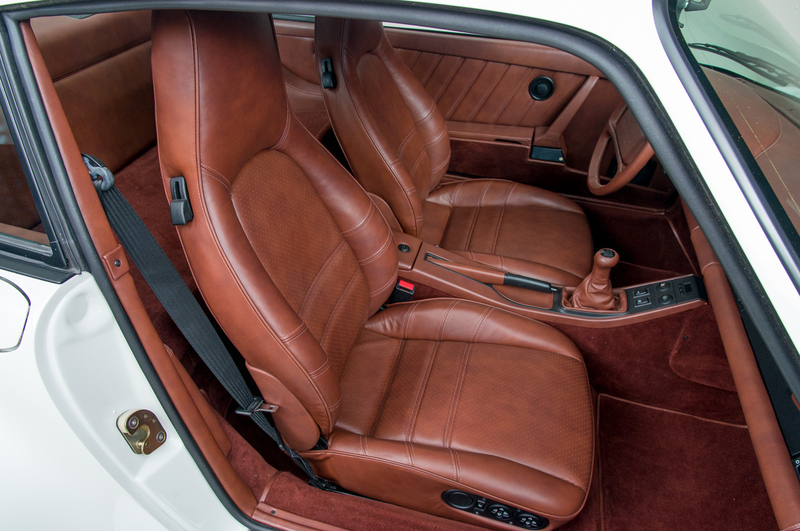 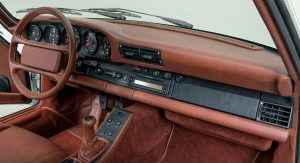 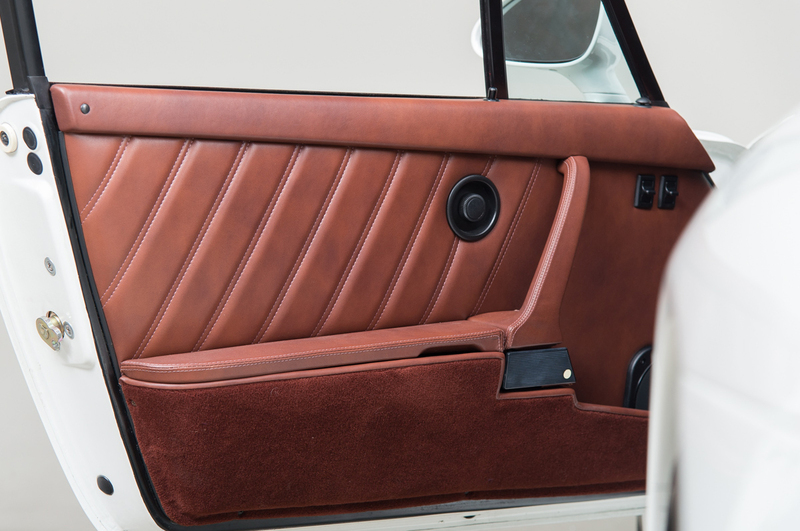 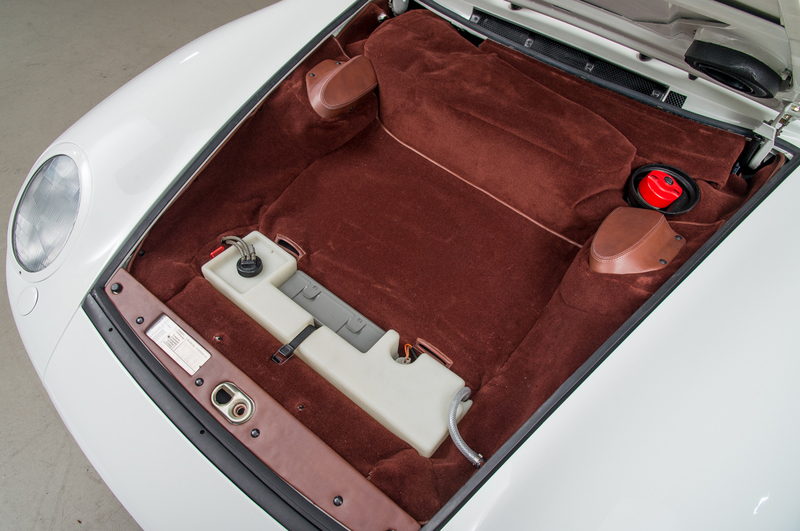 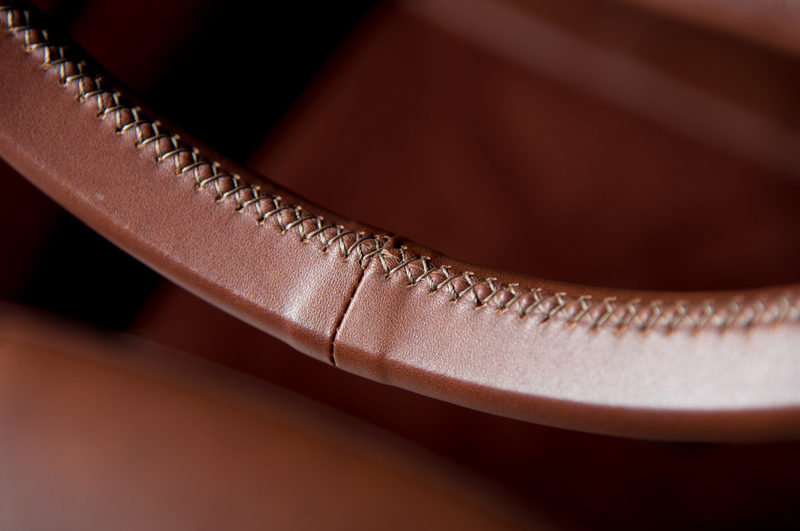 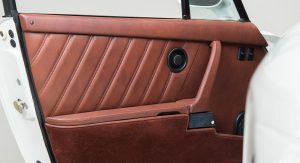 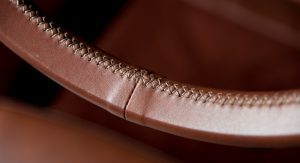 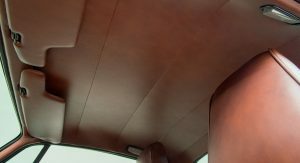 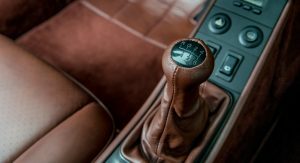 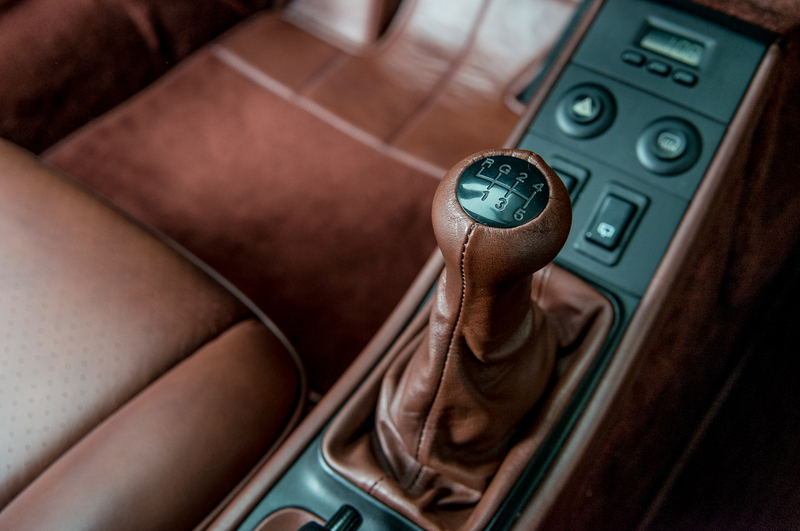 Canepa has also worked tirelessly on restoring the supercar’s interior, outfitting it with brand new brown leather, carpets, floor mats and a hand-stitched steering wheel. 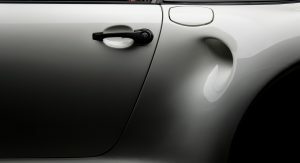 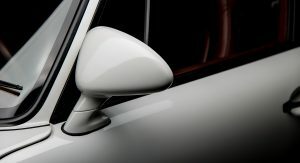 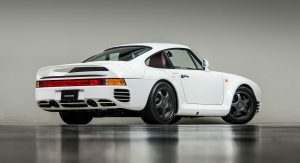 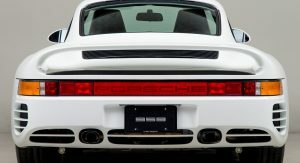 Porsche 959 owners in the U.S. can have Canepa perform all these upgrades for an undisclosed but inevitably massive sum. 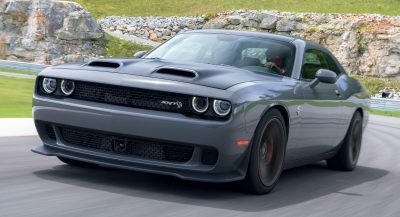 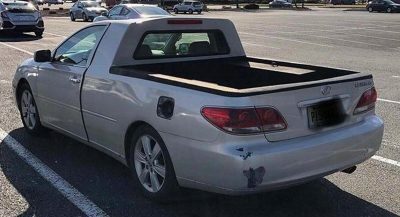 If 763 hp is too much, 576 hp and 640 hp packages are also available. 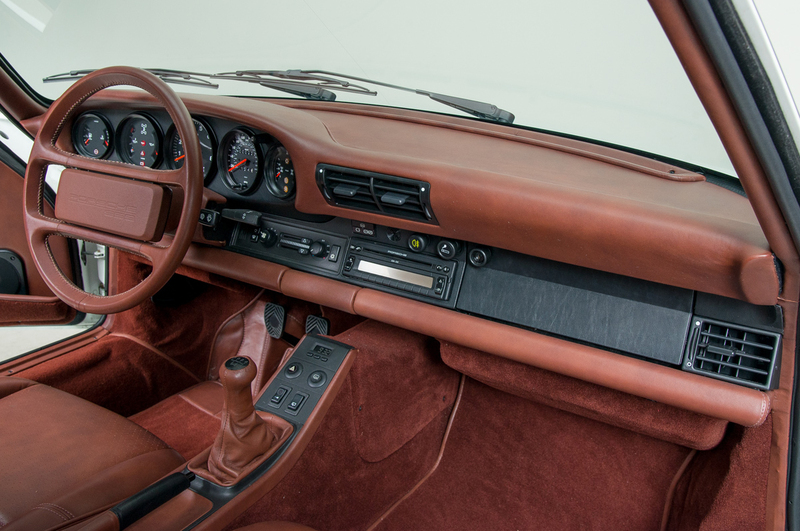 It’s like being trapped in a chocolate bar. 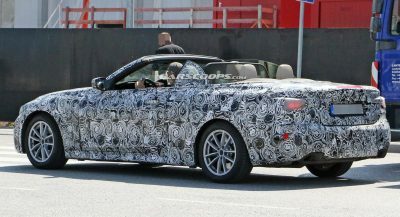 Previous PostPrevious Is A Street Beggar Really Driving Around In A New Ford Mustang GT?